If you are planning to buy trendy outdoor toys for kids, you can rely on the web. As long as you are not born yesterday, you can get take advantage of online buying since you can purchase items in online store with a cheaper price. Online shopping will also streamline the hassle of going to the marketplace. 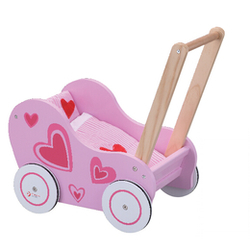 Push along walker at Little Smiles is one of the best purchases items you shouldn't miss. There are wide varieties of push toys that you can choose from. While your kids are enjoying their time with these push along toys, Little Smiles can guaranty it's customer that we offer a fast, professional and reliable service. You can shop on our website with absolute confidence and security and we promise to give you the most competitive prices. So, what are you waiting for? buy these new push along toys at Little Smiles and enjoy your bonding moment with your kids. For more products, please feel free to visit httpswww.littlesmiles.com.au/push-and-pull-toys or you can directly call us at 1300 665 882.